외주 작업하는 동안, 조금씩 그려둔거 완성. 크리스마스 전에 끝내고 싶었는데, 하루 늦었다. Really amazing. I love this three. They are always a colorful group. How wonderful! 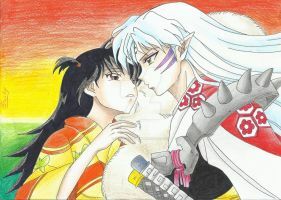 beautiful drawing, I really enjoy seeing your Sesshomaru group fanart! I’m glad you like my fanart. do you like that?! thank you!! Excellent work. 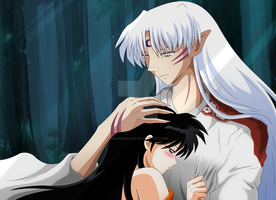 I like the Inuyasha series.